The Rev. Tiffany Williams is fulfilling her calling as a minister, lawyer and philanthropist, believing that God wanted her to use her talents to impact society. This year alone, she has been recognized twice for her impact: by NJ Biz magazine as one of New Jersey?s Best 50 Women in Business and now by TNJ. A high achiever from childhood, became a leader ?by always being the youngest to achieve everything I obtained,? she says. She notes with pride that her ambition to attain the highest educational goals earned her full scholarships for undergraduate studies and law school at Rutgers University and Northeastern University School of Law, respectively, and a tuition research grant for graduate study at Rutgers. An associate at Riker Danzig Scherer, Hyland & Perretti L.L.P., she practices in the firm?s governmental affairs and litigation groups. 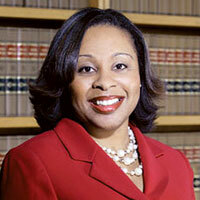 A former assistant U.S. Attorney for the District of New Jersey, Williams is highly respected in the legal profession, evidenced by her being named 2006 Young Lawyer of the Year by the New Jersey State Bar Association. She learned the importance of integrity from her role models: her mother, the Rev Phyllis Williams, whom she describes as ?the epitome of a virtuous woman;? her father, the Rev. Bruce Williams; and former U.S. Senator Bill Bradley, whom she served as a special assistant in his New Jersey District Office. Williams has aspirations of becoming partner ini her firm, running for public office and further developing the Kingdom Leadership Academy, a girls organization she founded in 2004, into a multi-million dollar international operation that provides mentoring, scholarships, leadership development, career development, public service opportunities and knowledge about government. ?I always feel I am following my passion,? Williams says. ?I want to show others how to follow their dreams. Everything that I do ties into my life mission and purpose, which I believe is to serve. ?